We hope you enjoyed the term's events! From the philosophy in Karma Talkies and Jay Lakhani's insightful talks to the colourful celebrations of Garba and Ujaali, we hope you had as much fun at CUHCS events last term as we did! We hope to see you all in the New Year, and in the meanwhile, take a look at some of the photos. My sincerest apologies for the delay in updating the website; 4th year physics can really get in the way of ones extra-cirricular commitments and social life—who in their right mind would want actual tripos exams before Lent term begins?! Now that they're done I'll be updating the site with the many things Lent term promises to offer. We'll let you know more at our first event celebrating Pongal this saturday but look out for things including explore sessions and talks by key speakers, volunteering opportunities to give back to your community, our annual charity show: Mastana before our final handover event - Holi. This term is just as jam packed as ever so keep your eyes peeled and see you all soon! From our weekly Karmic Talkies and Yoga Classes to the annual favourites inlcuding Raas Garba and Diwali Dinner, this term has been a HUGE success! Michaelmas 2012 has been jam packed with more CUHCS events than you could possibly make time for but the committee alongside our members have learned a huge deal, enjoyed some enlightening talks, some scruptious food and a whirlwind of dance and music. Make sure you keep your eyes peeled for next term's events and please let us know if you want anything else out of your society. Celebrate the festival of Navratri with the CUHCS community this year on Saturday 27 October. Navratri is a vibrant festival which lasts for 9 nights and focuses on the worship of the female goddesses of the Hindu religion. Traditional celebrations range from the Gujurati folk dance popular in the Western states of India- Garba and Dandiya Raas, to the act of fasting and carrying out intricate rituals in various poojas. CUHCSs Raas Leela promises to be one of the highlights of the academic year so make sure you don't miss out. Get your tickets from any member of the committee ASAP to ensure your entrance to this ever-popular event. A priest has banned "spritual yoga" classes from a Church Hall claiming that it isn't compatible with the Catholic faith. The instructor was outraged as she considers her classes as an exercise to explore ones inner self. Yoga is not a religous ritual or have any such connotations but can we really take Hinduism out of yoga? 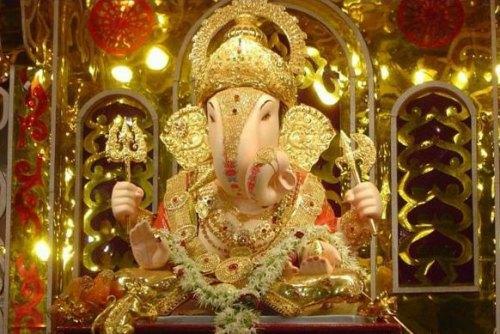 Ganpati Bappa Morya! May the remover of obstacles bless all. Ganesh Chaturthi is celebrated on the birthday of Lord Ganesh (Ganesha), the god of wisdom and prosperity. The celebration of Ganesh Chaturthi continues most popularly for ten days with the first day or last being the mostimportant depending on traditions. Pledge to sponsor Sanskaar, CUHCS's flagship magazine, on Sponsorcraft. By pledging certain amounts of money, you will receive varying rewards ranging from free tickets to our events to advertising through facebook, twitter and our website to half page adverts in Sanskaar. On the off chance that we don't manage to reach our goal in the next 3 weeks, you won't be obliged to give us anything. On this note - every pound helps us reach our total so please give what you can and spread this opportunity with friends and family! Welcome to the newly designed, re-vamped CUHCS website! Along with our fantastic new colour scheme and background designs, courtesy of our webmaster, we also have whole host of new and exciting content. Feel free to browse around, look at our galleries of past events, archives and mastana pages and subscribe to keep updated on all our latest events! Don't forget to check out our Facebook and Twitter page. For any queries or even comments, don't hesitate to contact any of the committee and we look forward to hearing from you soon! On behalf of the CUHCS committee, we hope you're having a fantastic summer and keep your eyes peeled for Michaelmas! On behalf of the CUHCS committee, I'd like to congratulate all the new Freshers on your amazing A level results. I wholeheartedly welcome you to the University of Cambridge and to CUHCS. We're all looking forward to meeting you soon but for a sneak preview of what's in store, check out our website, Facebook and Twitter pages. If you have any questions, don't hesistate to contact any of us, our emails are on the Committee page. Jai Shree Krishna! The birth of Lord Krishna, the incarnation of Vishnu in the Dwapar Yuga, is celebrated all over India as Krishna Janmashtami. This day is marked by religious festivity and devotion. Lord Krishna or "He who is all-attractive", descended on this earth to subdue the rakshasas ruthlessly and save mankind from all evils. He is regarded as the epitome of transcendental qualities which made him the most loved one.